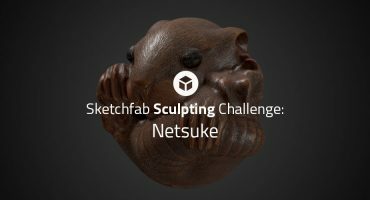 Sketchfab Community Blog - Lights, Camera, Immersion Contest - the Winners! Lights, Camera, Immersion Contest - the Winners! The judges have cast their votes! And it was a particularly difficult decision, with 126 entries and 69 finished entries at the end, one of our most popular contests yet. With the incredible volume of high quality entries, the judges needed a week to fairly judge them all and we do apologize for the prolonged anticipation; however, we are confident that the extra time allowed the judges to thoughtfully look through the entries and decide. The behind-the-scenes on the forums is all the proof needed that a snap judgement could not be made for this contest. This contest was particularly exciting due to the opportunity for 3 winners in each category: Static or Animated scenes, 6 winners all together! Wesley Allsbrook, artist at Oculus Story Studio. Eugene Chung, Founder & CEO at Penrose Studios. Will Mason, Co-Founder and Editor in Chief at UploadVR. Ghislain Girardot (Cremuss) – winner of our World of Warcraft: Legion Fan Art contest. And the awards go to..
Glenatron wins a $40 Movie snack box, $60 Netflix Gift Card, $60 Six months of Sketchfab Pro, a Sketchfab Cardboard VR Viewers and a Sketchfab T-Shirt. JER3D wins a $40 Movie snack box, $60 Netflix Gift Card, $60 Six months of Sketchfab Pro, a Sketchfab Cardboard VR Viewers and a Sketchfab T-Shirt. The vibe in this scene is so cool, I feel I’m a child again. The whole piece is really good looking, with nicely modelled and textures props and stylized characters. The composition has a great deal of depth and strong focus points which makes you feel like you’re being told a story. A great tribute to a cool animated movie for a nice VR experience. Tam.lik wins a $200 LCD Movie projector, $90 Netflix Gift Card, $60 Six months of Sketchfab Pro, 2 Sketchfab Cardboard VR Viewers and a Sketchfab T-Shirt. Choosing to do a such iconic scene from such a great movie is a win in itself. But to do it with stylized characters that nicely modelled with an animation that long and that detailed is so incredibly challenging that all I can give is a 10 out of 10. This perfectly represent the spirit of the contest. Kyan0s wins a $200 LCD Movie projector, $90 Netflix Gift Card, $60 Six months of Sketchfab Pro, 2 Sketchfab Cardboard VR Viewers and a Sketchfab T-Shirt. With such a great sense of scale and depth, viewing this scene in VR is awesome. Its composition and storytelling push the viewing experience to a next level with characters radiating with unique presence. Models, lighting and a perfect art direction with beautiful stylized textures do great honour to an iconic and cool animated movie. Top notch! Paulsrage wins a $599 Oculus Rift, $150 Netflix Credit, $120 A Year of Sketchfab Pro, a Sketchfab Hoodie and 3 Sketchfab Cardboard VR Viewers. Although minimalist, this entry let you take place in a world so full of magic that you just want to sit there in that train and wait for a while with your VR headset on. The passing water and wobbling handles are mesmerizing. Very immersive and beautifully modelled and textured, it does great honour to a movie everybody should have seen. 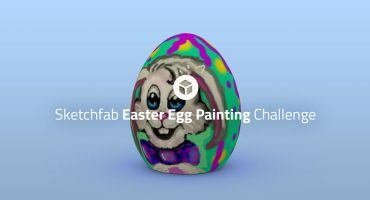 Fongoose wins a $599 Oculus Rift, $150 Netflix Credit, $120 A Year of Sketchfab Pro, a Sketchfab Hoodie and 3 Sketchfab Cardboard VR Viewers. All winners will be contacted by email. Astonishing works! Well deserved places! Well done all. But I do think the Harry Potter one is more worthy to win than Spirited away, although I agree with all that the judes said about that one. Congrats these are all amazing!!!!!!!!!!!!!!! These challenges, along with the rewards and the quality of the entries keep getting better and better! 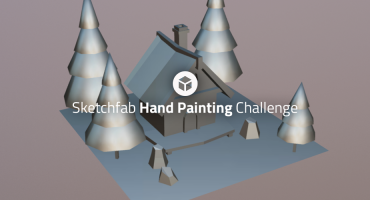 Already excited to see the entries for the next challenge! Very worthy picks and congrats to the winners! Such high quality and attention to details. Amazed and envious of the skills the winners possess. Well done all.